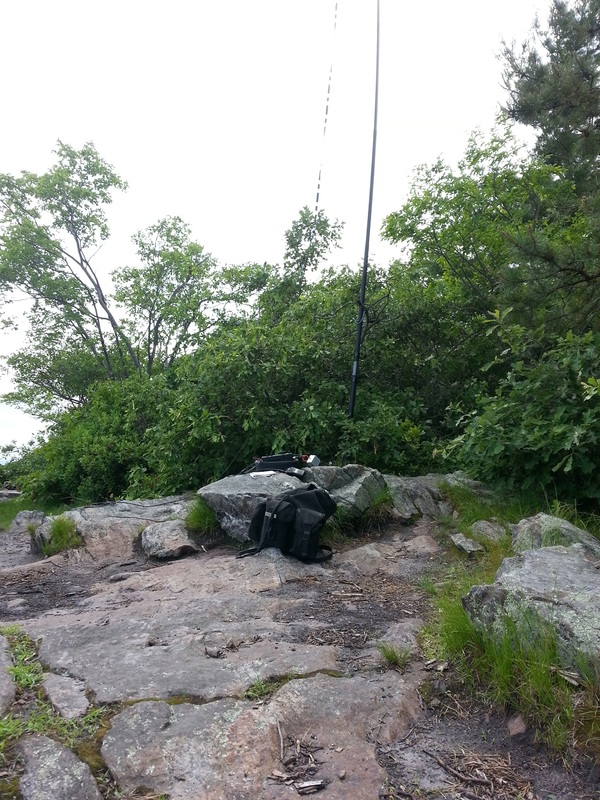 I had some time to myself on Saturday (6/14) which is rare so I decided to play a little radio on top of a mountain/hill. I found that when it comes to doing SOTA that ends up being a last minute effort to get my stuff ready. This time I wanted to do a summit that I have never done before. 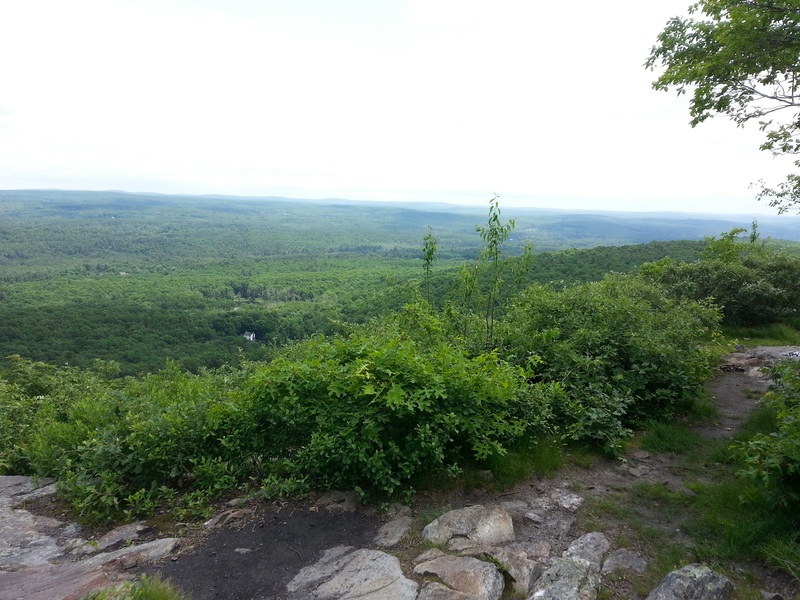 I decided to go to Peaked Mountain located in Hampden/Monson MA. 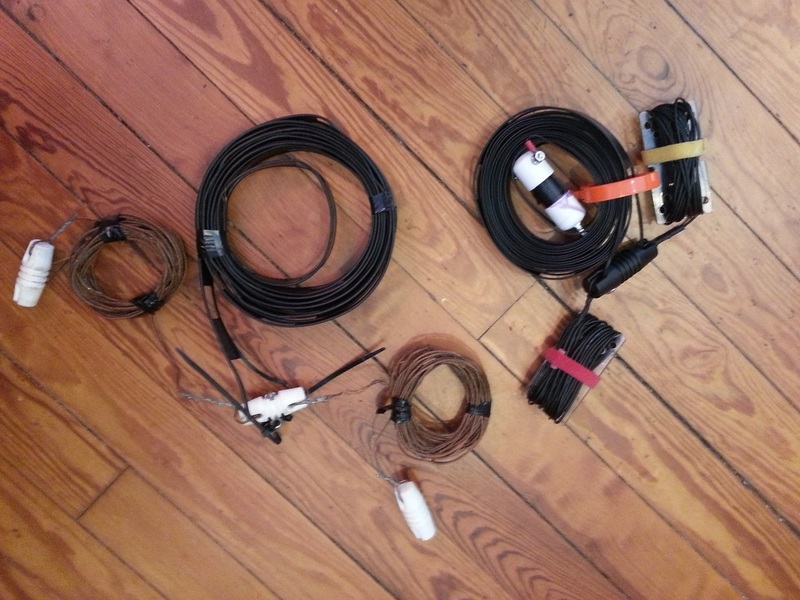 I notified SOTAwatch and local SOTA/Ham facebook groups that I will be out. I find that letting many people know that you’re going to be activating will increase your chances of a successful activation. Expecting the unknown for both the hike and summit I over packed which is better than not packing that one item you’ll end up needing. The mountain is closer to my QTH then I originally thought which was great. The hike also wasn’t bad. 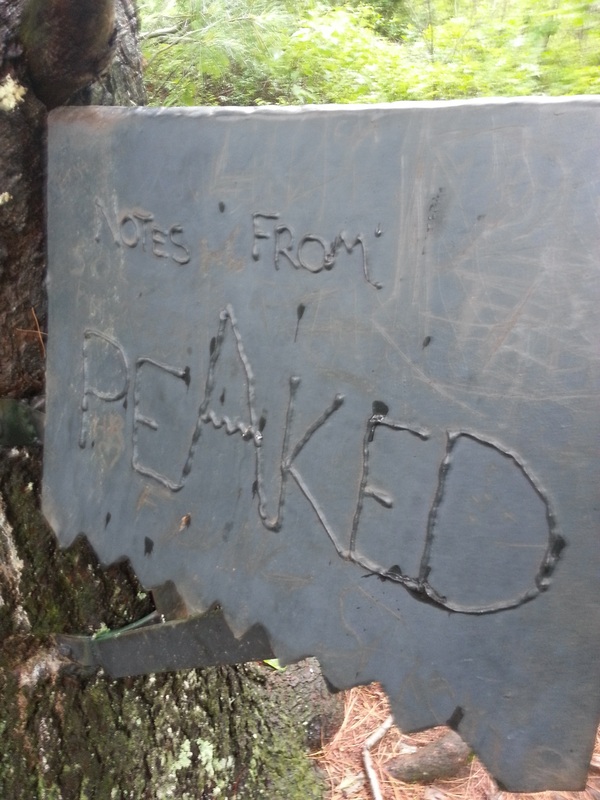 The trails were (now) clearly marked and was able to make it to the summit in 20min or so. My only concern was the rain. Due to the overcast I didn’t have much time to really enjoy the view. I wanted to get on the air as fast as possible in case it was going to rain. However I have a new G5RV jr that I home brewed to replace the crappy G5RV that I was using. 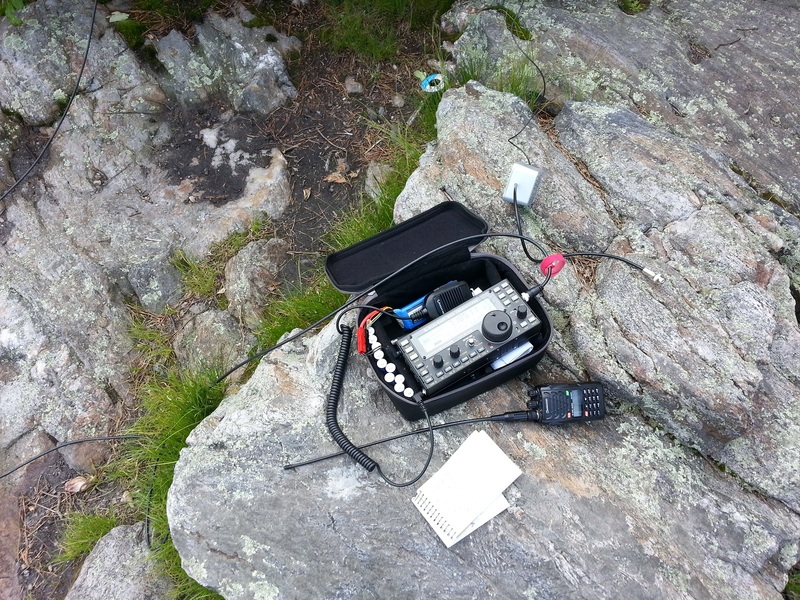 I also took along the vertical end fed (EARCHI) as I’ve never used it for SOTA. I wanted to put both up. 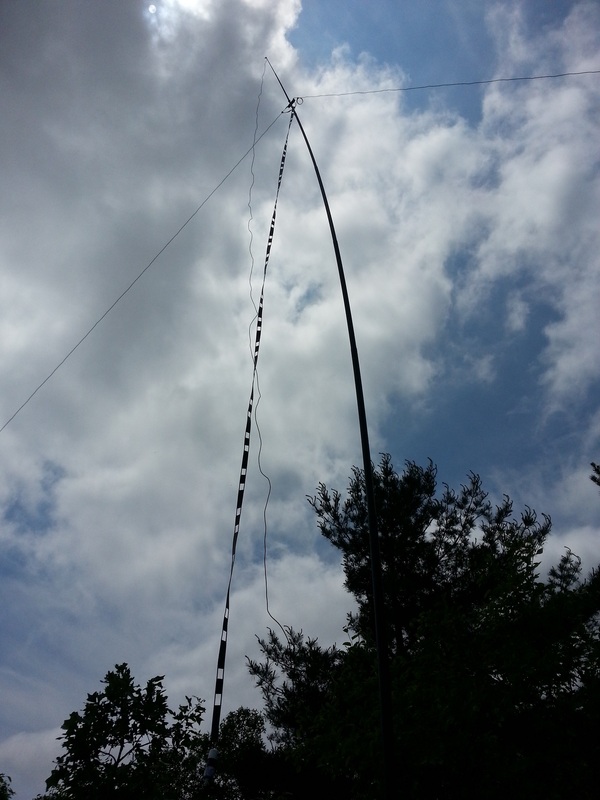 Here you can see the G5RV mounted to the Jack Kite 31′ fiberglass pole. 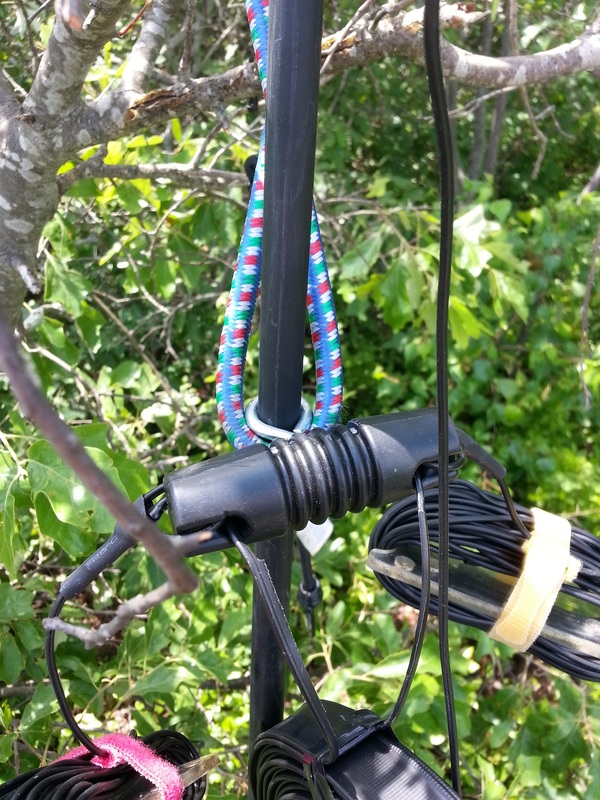 I used an eyebolt that is connected to the center insulator and slid it down the mast. I might place some tape at that spot to keep the eyebolt from wearing out the fiberglass tube. Also pictured is the end fed that is attached to the tip of the pole. Here is a photo showing my old G5RV next to my new one. 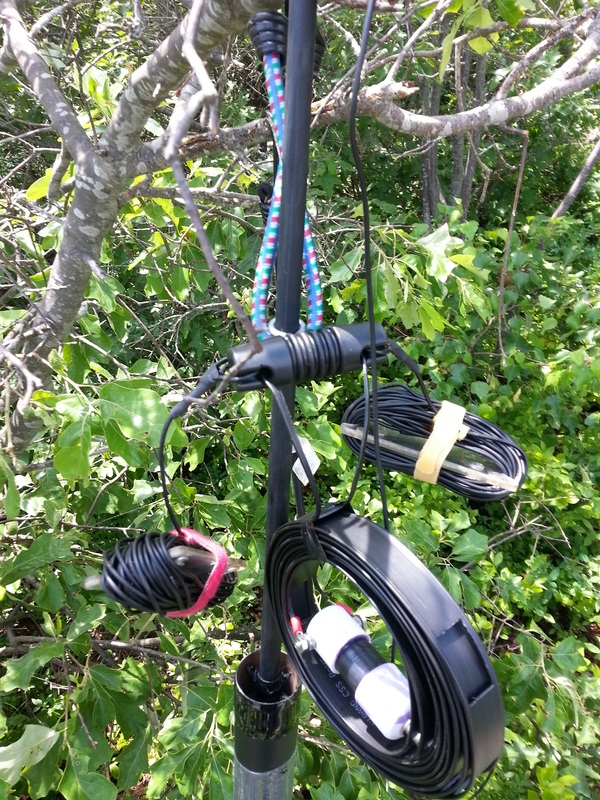 Here is a shot of the antenna with both antennas attached. Setup took less than 10Min with most of my time spent untangling wires. I tried switching around bands and antennas to make my contacts. 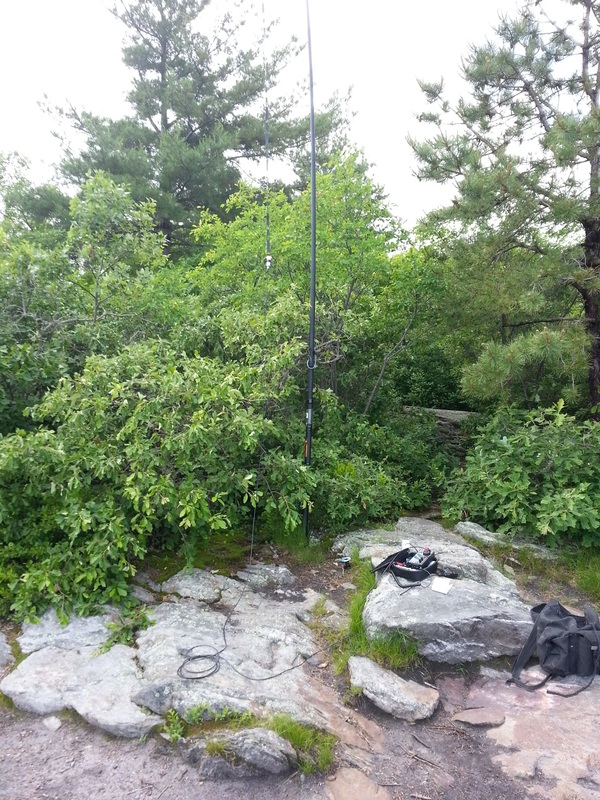 I knew I could make contact with KB1RJC and KB1RJD if I went onto 40M and sure enough they were on and waiting (thank you). They made my 4th and 5th contact. 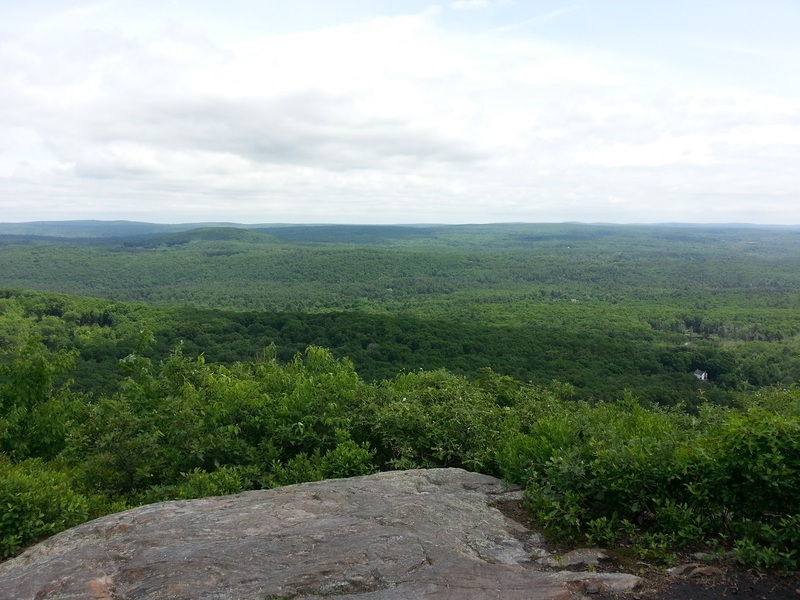 Views from the top of Peaked Mountain. I’d say this was the hardest HF activation I’ve done to date. It was not the hike because that was very nice and easy. It was hard because I am not sure if it was my antennas, location, band conditions or a combination of all three that was making it difficult for communicating. There were also many hikers up on the mountain and I ended having to explain “what that is” many times over which took me away from the radio. Even though I love explaining what my setup is to non-hams, I just wasn’t in the mood but I didn’t want to come off as rude. I love the location and mountain and this location is now on my list of summits to activate next year. Were the solar lights still in the tree over the ‘mailbox’? That’s a nice mountain. Not too far to drive, short hike, decent summit looking to the east. I didn’t notice any lights. It’s nice hike. I will return with the kids some time this summer. Previous Previous post: To Skywarn and Beyond!